Cyprium Solutions is a dedicated team of seasoned professionals with a deep expertise in a wide variety of electrical and data installation. We pride ourselves in making the complex simple and getting the job done right the first time. We would love to partner with you on your next project, please contact us to learn about our full capabilities. Prison and security installation is our specialty. The bigger the challenge, the better. 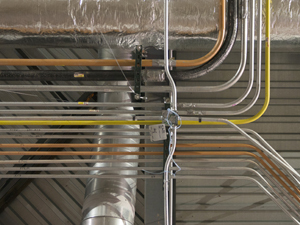 We are focused solely on providing expert commercial installation solutions. With decades of experience, Cyprium has the expertise to get it done right the first time. "Cyprium Solutions has provided valuable customer support, often disrupting their tightly packed schedule at a moment's notice when our department has been faced with a time sensitive need. I give my wholehearted endorsement." "I have been honored to have [the Cyprium team] on-site for the past week [...]. Both guys have been working long, hard hours and have reflected the professionalism and integrity that are obviously hallmarks of your company." "Professional, Diligent and Trustworthy are the words that come to mind on how the summer was executed by your entire crew down to last-minute efforts to address the concerns of the Township [...]. Thank you for the push." Jamie Lynch, D'Huy Engineering, Inc.
"I want to acknowledge Cyprium's ability to adhere to timelines and budgeted costs. 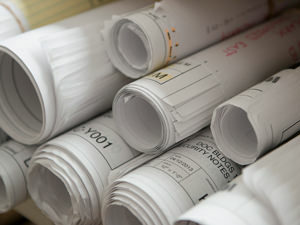 They even offered recommendations to the design to enhance the quality of a very complex project. Your team is to be commended."